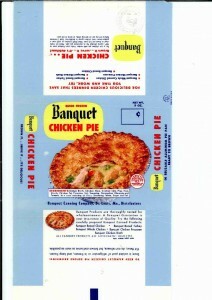 “TV dinner” coined in the early 1950s by one or more Swanson employees. The genesis is highly controversial. Was it a Swanson sales executive faced with a glut of turkey meat in refrigerated railroad boxcars? Was it the VP of marketing at the time? Or was it the Swanson brothers themselves? Perhaps it was one of the turkeys, exposed to large amounts electromagnetic and microwave radiation, now able to speak, now having the intellect of several humans, now joining the Swanson executive team in board meetings, corporate outings, golf outings, shopping outings. 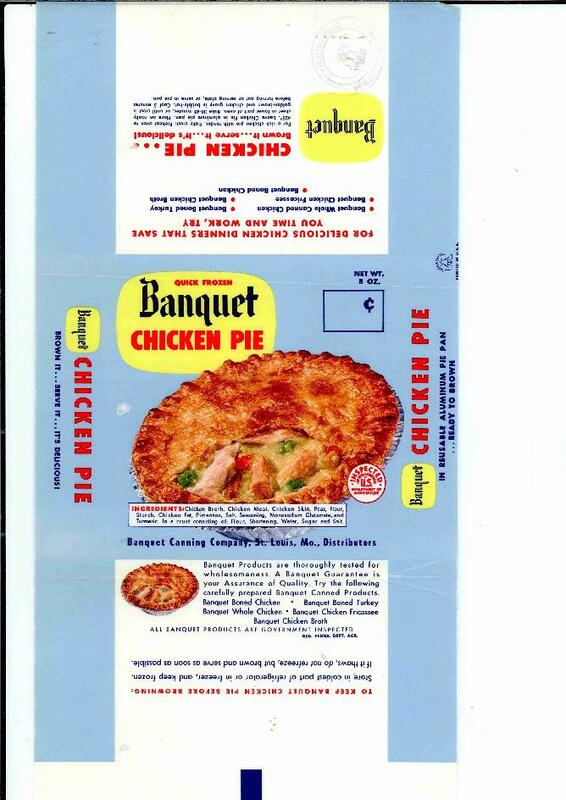 Equally controversial: (1) whether “TV dinner” refers to a tray configuration that approximates a television screen, (2) they were meant to be eaten while watching TV, (3) there was no connection with TV, other than a shameless attempt to latch onto TV’s growing popularity. Frozen, packaged, and/or prepared dinners consisting primarily of pasta and rice that are made to be confusingly similar. Pasta that looks like rice (e.g. orzo and couscous), pasta that is made of rice (e.g. rice noodles, healthy non-glucose rice pasta — stuff found in organic section, etc..). What about rice grown to look like pasta? It could be done. Where are the rice shaped wagon wheels? Rice raviolis? Aren’t pasta and rice really the same thing – a common conspiracy theory. Frozen/prepared/packaged dinner superlatives. What is the largest frozen pasta and rice dish on the market? The smallest? The Loudest? The most and least pungent. Constraints on largest are dictated by microwave size. Constraints on most pungent are dictated only by the imagination. Assassin’s Creed brand frozen meals consisting primarily of pasta or rice (TM serial number 85782796). Looking forward to seeing the specimen.